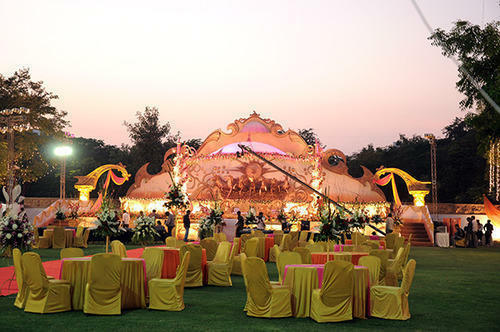 With the backing of our adroit and diligent crew of personnel, we are instrumental in providing highly distinctive Wedding party catering In Mumbai to our patrons. Delivered and imparted as per the demands & requisites of our privileged patrons, these provided services are enormously commended. Also, their promptness, reasonable pricing structure and reliability makes these services hugely applauded. Incepted in the year 2014, Mamma's Kitchen is a notable name instrumental in providing services such as Catering Services and Management Services. These provided services are hugely applauded by our respected customers for its budget friendly rates, on time execution and flexibility. To add, these provided services have received wide gratitude from our privileged clients. Our valuable clients can get these services from us as per their detailed requisites and demands. With our enormous networking, we are talented to provide these services at every corner of the nation to our customers. Apart from this, these services are highly applauded and acknowledged for their reliability and affordability.